It’s hard for us to imagine what crossing the Atlantic in a Sixteenth century sailing ship must have been like. Creatures of comfort that we are, the privations and unsanitary conditions of a galleon or caravel would be the stuff of nightmares, and the risk of shipwreck on an unfriendly shore, with scarce hopes of rescue, equally hellish. Yet explorers set up in vessels that were small and fragile—from our perspective-- across the vastness of “the Ocean Sea” to explore and conquer new lands, fuelled by dreams of glory and a good wind at their backs. Our textbooks, revisionist and status-quo alike, agree that islands, landmasses and bodies of water were discovered and named; species of fruit, roots and tubers were sent across the ocean to a land that had never seen them before, and deadly illnesses were exported and imported from the so-called “new world”. Yet mariners and soldiers, whether headed to the mountain-girt glory of Tenochtitlán or the lofty mansions of Macchu-Picchu, encountered phenomena that clearly exceeded their understanding, and even that of the highly educated natives of the new lands they had come to conquer and explore. In an age where literacy was the exclusive province of the clergy and the notary, it was a great boon to posterity that the early explorers, sea captains and navigators, were able to convey their findings in their routine log entries. With a potentially mutinous crew, fearful of monsters and the endless seas around them, Christopher Columbus allegedly kept two sets of logs – an actual one and another that showed different times and positions. 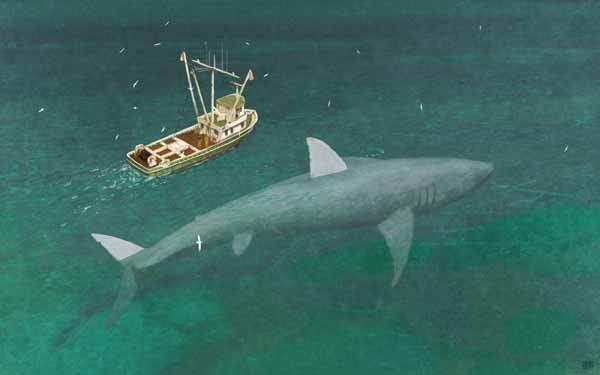 Although we may perceive this as trickery on the seaman’s part, it enabled him to allay his crew’s fears until landfall was finally made on Guanhaní (supposedly Watling Island in the Bahamas) on October 12, 1492. Columbus and one of his men, Pero Gutierrez, witnessed “a light shining at a considerable distance” from the deck of the flagship “Santa María” – a light that reputedly vanished and reappeared several times that evening, bobbing up and down. This light was seen only a few hours before Rodrigo de Triana shouted from the crow’s nest that land – America – was in sight. Years after Columbus’s fateful discovery, an expedition of five hundred men set out from the island of Cuba to conquer Mexico. At their head was Hernán Cortés, a ruthless but educated man who had been a notary. His letters to Emperor Charles V represent some of the first perspectives on Mesoamerica by a European. However, in his expedition was Bernal Díaz del Castillo another man with writing skills, and his chronicle Historia de la Verdadera Conquista de la Nueva España includes the first sighting of a UFO by a European in the new lands that had been subjugated by blood and fire. “The Mexican indians,” writes Castillo, “claimed having seen a sign in the heavens which was green and red, round like a cartwheel; beside this sign was another line, headed toward where the sun rises, and which had come to meet another red line.” Later on, the chronicler himself would see strange activity in the Mexican skies: “This is what I saw, and what was seen by all those who would see it, in the year 1527. There was a sign in the night sky resembling a longsword, [located as if] between the province of Pánuco and city of Texcoco. It did not move from the sky, neither hither nor thither, for more than twenty days.” A comet? Possibly. But comets—frightening harbingers of future mishaps that they were—would still have been identified as such by someone of Castillo’s level of education. At this point it should perhaps be mentioned that Aztec Mexico had undergone a series of unexplained events between 1509 and 1519 – mysterious fires, encounters with strange and frightening creatures, and sightings of UFOs – for at least a decade prior to the arrival of Cortés and his band of adventurers. 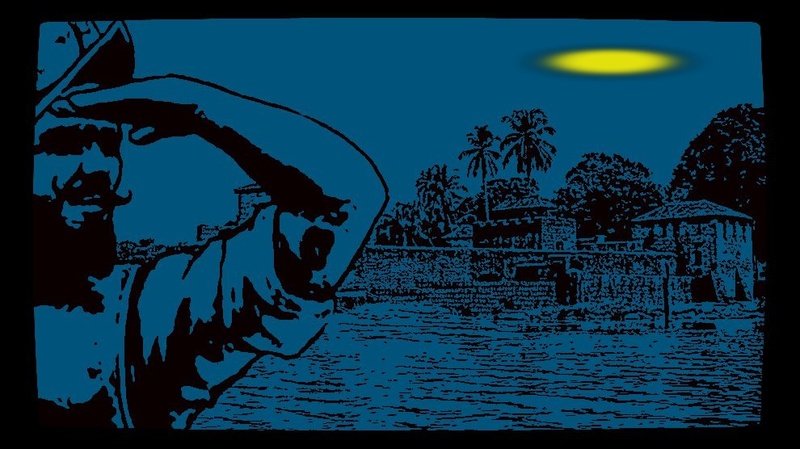 Nor was this paranormal activity restricted to Mesoamerica: Nicolás de Martinez Arzanz y Vela described the strange recorded a compelling UFO sighting of the colonial era involving “two suns seen in the morning sky”. The following account appears in the chronicle Imperial History of Potosí, an account of the governorship of General Hinojosa, a royal official in charge of the silver wealth of the Potosí Mines of “el alto Perú” as Bolivia was known then. Any official with oversight of the continent’s greatest single source of silver was bound to make enemies, and Hinojosa was no exception. Two of his rivals, Sebastian of Castille and Francisco Girón, conspired to bring him down, and this is how history records the event: “…at the moment when Sebastián and Girón were preparing their troops for the insurrection, there appeared over Porco, threes suns and two moons appeared in the midst of a circular halo, and within the latter two blue and red arcs. On January 13, 1553, 52 days before General Hinojosa was killed at 7 o’clock in the morning, a great circle was perceived in the sky above Porco. it was entirely white, with a thickness of one span. The natural sun was somewhat reddish, almost blood colored, and the two lateral ones were very red and bloody, so that the sheen and the fire blinded onlookers. The two frontal moons (sic) resembled white moons with a reddish cast…the two arcs were blue and red, as they seemed. This prodigy was witnessed for seven consecutive days over the rich summit of Potosí, followed by two other arcs, one of them looking like polished silver, the other blood-red and bright as fire. One end of this arc terminated in a sort of spiral ray, the color of blood…these signs were seen [at both] Porco and Potosí, causing the Spaniards to discuss future events. Don Sebastián de Castilla and Francisco Hernández Girón asked the natives what these signs meant…the Indians, amazed, covered their eyes and spit into the air, saying aucca, aucca, mayccan apihuañucca, which means some ill omen, abominable action or hideous ruin…” The Inca oracles were right – the bizarre, moon-like lights had indeed heralded the success of the insurrection and the death of Hinojosa, the royal official. Nearly thirty years later, on Sunday, February 7, 1580, Pedro Sarmiento de Gamboa, an envoy of the Spanish viceroy of Perú, was charged with the mission of exploring the southern coast of modern Chile and attempting an eastward penetration of the Straits of Magellan aboard his vessel, the San Francisco. His own log entry records the following: On this night, at one o’clock, looking south-southwest, we saw a round thing emerge from [the sea] which was as red as fire and shaped like an adarga [a small leather shield] that rose through the skies or was borne by the wind. It tarried above a lofty hill, and being like a tall lance above the hill, it acquired [the shape of] a half moon, between red and white…” Gamboa and his crew watched the phenomenon dispassionately, at no point assigning any supernatural significance to it. Only a few days later, Gamboa and his crew would successfully reach the Straits of Magellan and complete their mission. Many years before Gamboa’s mission, between 1515 and 1516, Juan Díaz de Solís, another Spanish explorer, had sailed down the Atlantic coast of the South American landmass and discovered the River Plate. This landmark discovery aside, Argentinean paranormalist and author Gustavo Fernandez believes that he made an even more important discovery – he discovered strange metal, an alloy of possible non-human manufacture, around the necks of the friendly natives who dwelt along the banks of the Paraná River. Startled by the lightness of these metal “charms”, for want of a better description, and readily identifying them as not being silver or white gold, Solís asked his interpreters to find out where the odd material came from. According to Fernández, he received the reply: Mba e verá guasú – which translates roughly as “collected from the big shiny hut”, which the author interprets as a possible crashed UFO whose remnants were picked up and considered a “gift from the gods”. He further suggests that Yaciretá, an island on the Paraná River famous for its massive hydroelectric dam, features beaches of vitrified sand that could have been the result of some massive explosion at some point in antiquity. 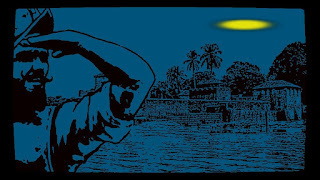 UFO sightings during the Colonial Era were not circumscribed to the Latin American viceroyalties. Only nine years after having arrived in Massachusetts Bay at the head of a large number of Puritan settlers, John Winthrop, the colony’s first governor, became unwittingly our country’s first ufologist. With the lives of over nine hundred men and women under his care in a new, unknown country, the strange event that befell one James Everell in 1639 as the settler crossed a river in a boat at ten o’clock at night. According to Winthrop’s Journal, Everell, “a pious, sober and highly considered man”, saw an enormous flaming light in the sky directly above the Muddy River. This light, described as a rectangular shape measuring an estimated 8 to 10 feet across, sped away at a velocity unimaginable by 17th century standards only to return zooming back to the spot it had originally occupied, leaving Everell astounded. The object continued to maneuver above the Muddy River, repeating its earlier behavior of rapid starts and stops ornamented by the occasional zigzag. Everell and the other men aboard the boat lay flat on the bottom of their vessel in terror, “unable to row or punt”. According to Governor Winthrop’s chronicle, a curious physical phenomenon was also observed after the intruder had vanished to parts unknown: the boat found itself further upstream than when the object had initially appeared, as if some unsuspected force emanating from the apparition had prevented the Everell’s boat from drifting with the current, in fact pulling it upstream. Five years later, another light would rise above the horizon to trouble the rest of the early colonists: In January 1644, a luminous object described as comparable in size to the full moon was seen by residents of Boston. Another that came in from the east soon accompanied this unexpected light. This early CE-1 also had a curious high strangeness component to it. Apparently, some colonists heard a voice in the night sky that terrified them with the following utterance: “Little one, little one, come, come.” Winthrop records that similar calls were repeated “twenty or more times” from various directions. The witnesses to this phenomenon claimed that it voice appeared to come from a considerable distance away. A week later, the same aerial phenomenon repeated itself and the voices were heard again. The voice booming in the darkness of colonial New England brings to mind another terrible voice mentioned elsewhere—that of Moyohualitohua, the terrifying voice emanating from a nocturnal cloud or object that terrified the subjects of the Aztec Empire in 1492 and which allegedly appears in two ancient codexes. What strange force paraded over the skies of ancient North America, addressing humans below in their own language? We will never know. Viewers of the 1985 production “The Mission” will be familiar with the presence of Jesuit missionaries in what is now the Argentinean province of Misiones, located by the borders of Brazil and Paraguay. Native Guaraní-speaking peoples were trained by the Jesuits in a number of trades and professions. On August 10, 1631, an unnamed member of the Society of Jesus made the following entry: “At the reducción of San Ignació de Ipané, between six and seven o’clock in the afternoon, a luminous sphere of strange grandeur was seen to rise from the east, flying unhurriedly over the town, like a full moon. Toward the east it gave off a great number of sparks, and put forth greater light, which it later dimmed, and the amount of time it takes to recite the Apostle’s Creed, it made a tremendous report, like a thunderclap. Argentinean ufologist Antonio Las Heras, who records this case in his book OVNIS-Los Extraterrestres Entre Nosotros (Buenos Aires: Edad, 1992) suggests that the loud report or explosion conveyed in the Jesuit chronicle represents a perfect description of an object that is breaking the sound barrier – something impossible to describe in a 17th century account. In the year 1816, well toward the end of the Colonial period, as the South American colonies struggled for their independence from Spain, an early newspaper, the Gazeta de Buenos Aires, reported an interesting involving a thoroughly unexplained phenomenon near the town of Rojas, in the province of Buenos Aires, which many have associated to the UFO phenomenon. “At three thirty in the afternoon, on a rainless day, a very hard piece of ice was seen to fall out of the skies, with an approximate weight of two pounds, and it split in four. Immediately, toward the south, a tornado accompanied by a sort of tremor was reported, along with a fall of numerous fireballs. These have been blamed for setting fire to pasturelands, the wood of some buildings and enclosures. The fireball headed toward the largest part of the town with the most extraordinary effects. One building next to a cart was left untouched, while horses were seen carried in the wind at a distance of four blocks from their location; a heavyset woman was also spirited out of her house and taken south some two blocks…the phenomenon withdrew then thirteen blocks toward the north…”A super-tornado accompanied by strange effects? A devastating prairie fire similar to the great “Peshtigo Fire” of the 19th century in the United States? Possibly. But it must be noted that during the last century a UFO was seen to cause similar high winds and conflagrations elsewhere in Argentina. In August 1982, the region of Catamarca, in Argentina, was set ablaze by the maneuvers of a fire starting UFO that hurled a gout of flame in an empty field near the city of Londres, an action witnessed by two stunned policemen from the safety of their squad car. Apparently, the strange vehicle had waited for gale-force winds to begin before expelling its fire, causing it to spread voraciously through the vineyards and tree groves of the agricultural region. The story appeared in Buenos Aires' Clarín and La Crónica newspapers. Publicado por Terra Incognita en 1:16 p. m.
Argentina: A UFO Over Berisso? Argentina: A UFO in Downtown Salta? Cuando Tesla buscaba a E.T.